Sachet Lavender flowers are extremely sweet smelling and a lovely dark purple. A true English lavender, it likes a cool summer but can be grown with adequate moisture and a bit of shade in hotter areas. Early spring is the time for all Lavandula angustifolia varieties to bloom. 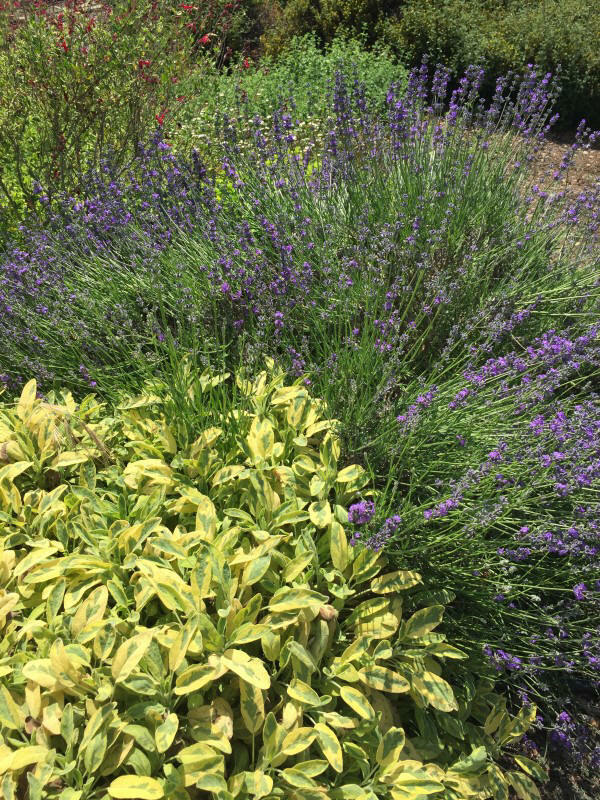 Sachet Lavender has a beautiful dark purple flower that is looking spectacular co-mingling with the variegated foliage of the Golden Garden Sage. 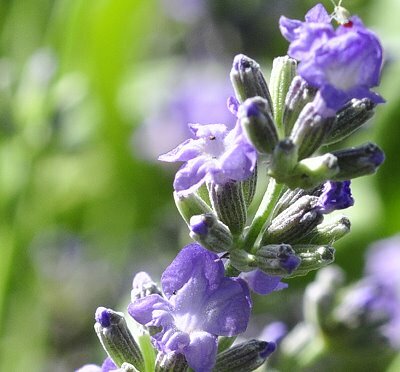 When this Sachet Lavender plant finishes its bloom, we will trim and shape it to give it more form. The leaves will turn from their new spring growth of bright green to their hardened gray summer color. In the fall, we will get a bit of a bloom again but it will not be as spectacular as the early spring flowering. This plant is often available in plug trays. These trays hold 128 of all the same plant. They are a great low cost way to fill a lot of space. Each cell is 3/4 of inch by an inch. Check here to see if Sachet Lavender Plug Trays are available. Sachet Lavender makes a great addition to our Zone 5 Fragrant Herb Garden Six Pack and our Crafters Herb Garden.